Once it's applied to the skin, C.O. 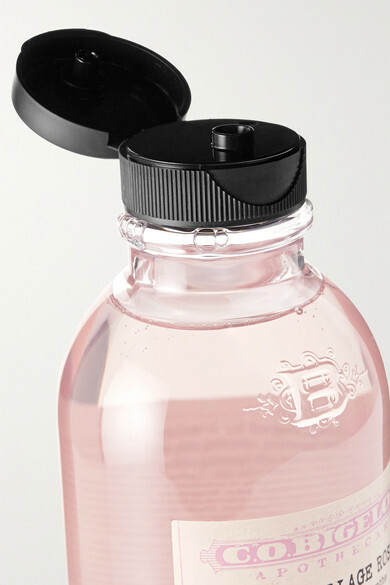 Bigelow's body wash transforms into a frothy lather that gently cleanses while providing lasting hydration. This 'West Village Rose' version is formulated with Aloe Vera, Coconut Oil and Sodium PCA that help draw in and maintain moisture. Follow it with the body cream from the same line.